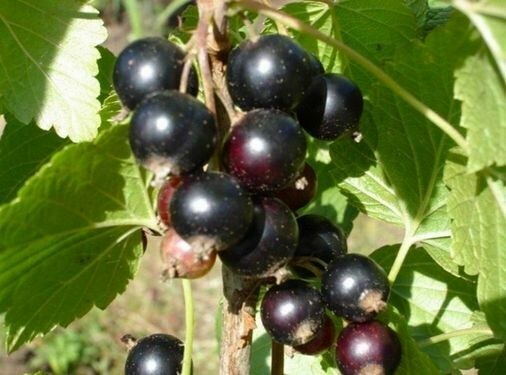 Black currant – fastidious plant that yields fruit only when proper and regular care. Despite all the difficulties in the cultivation of currants have a number of positive properties. The berries contain many vitamins, and and from the leaves you can make a delicious tea, which will help to cope with diseases. Buy currant seedlings in the nursery or in a specialized store. To take the seedlings with the hands is undesirable. Choose high-yielding varieties, especially if you live in regions where early frosts and harsh winters. Make sure that the plant is "alive", breaking a small twig. If you managed to do it, and the place of breaking out of juice, it's better to abandon the purchase. Prepare the site for planting. Choose a Sunny and windless area in your yard. Dig a hole 50 cm in diameter and 30 cm in depth. The distance between the bushes should be 1-1. 5 meters. To fertilize the soil with compost (2-3 kg), superphosphate (20 g) and wood ashes at the rate of one hole. Pour holes and start planting. Put exactly the Bush and sprinkle the roots with earth. Some gardeners put the currants under a small inclination, but it is at your discretion. In principle, there is no difference. Re-pour the seedlings. Fertilize currants about two times per season. In early spring, apply nitrogen fertilizer (20 g of urea per Bush). After flowering, watering mullein (1:6). Currant – water-loving plant, so watering it several times a week. With a lack of water the leaves start to turn, the berries are much smaller. When watering slightly orosite and the green part to remove the dust from the Bush is not recommended in the flowering period. Treat the currants from pests. To combat mites use of sulfur-colloid at the rate of 30 g per 10 liters of water. Against aphids, sawflies, gall midges use "Malathion" (35 g per 5 liters of water) or "Remicourt" (5 g per 5 liters of water). Orosite black currants 2 times per season to prevent or as pests. Shape your Bush in the early spring and late autumn. Remove all the dry and fruitless branches with pruning shears. Don't leave more than 3-4 shoots. Expect the appearance of the first fruits on the second year after planting, but they will be quite a bit. The growth of the plants and yields will rise. Approximately 6-8 a year the amount of collected berries will begin to decline as their size. During this period, take care of the planting. The optimal time for planting is considered to be autumn. But it is important to catch before the cold. If you for some reason do not have time to plant currants in early spring, as soon as the soil warms up to 10-15 degrees. 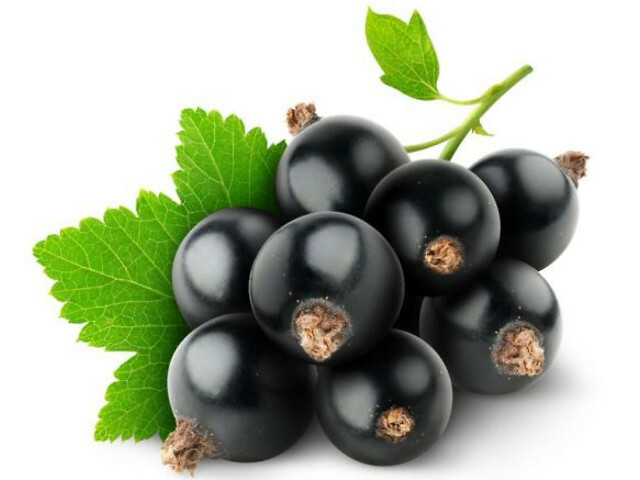 Black currant is mainly characterized by its unique healing feature thanks to its rich content of vitamin C. therefore, its cultivation gives background not only for the implementation of the family business due to the possible subsequent sale, but also allows you to provide all the loved ones useful components, among other things, also promotes good heart health. Planted black currants quite often somewhere in the middle or at the end of October. The currant bushes before the onset of the cold for a little time to germinate, to take root in the soil. When springtime comes, black currant very actively begins to grow. Seedling black currant is usually thrown into a small pit, with a depth of about 40 inches. It is added directly to fertilizer, while the root of the seedling currants usually buried in the soil at 5-10 cm. Order black currant liberally and quite effectively sprouted, you need to take care of her attentive care. In the period of the growing period, the grower needs to diligently carry out the process of loosening the soil where the bushes grow this wonderful berry. Due to the fact that blackcurrants are very early-maturing plant, it starts flowering in the first year after its Seating. However, the first flowers should be cut as otherwise the Bush itself can be weakened and even die. The main challenge facing the gardener in the first vegetative cycle of the black currant is to achieve the formation of a strong basal shoots of this plant. The question of fructification need to do the next season. To ensure black currant protection against various kinds of harmful insects, which do not allow the plant to grow normally and to develop, implement digging round tree trunks. Also carried out the circumcision of dry branches the plants and remove weeds growing next to the currants. This whole set of measures necessary to ensure that the bushes of black currant without any obstacles could grow and give a good result in the form of abundant harvest. Of course, in each situation, the grower receives for himself a definite decision as to how best to improve the care of bushes of black currant. However, to a greater extent all resort to proven methods of care for these plants. And they, in turn, as if in a sign of a certain "appreciation" if you give the grower the presence of many ripe, incredibly delicious berries!